I never understood Mr. Subb. Back when I was in college, I came to the area with a number of years working in the deli, and I really couldn’t see the appeal of the types of sandwiches that were available at places like Mr. Subb, Subway, or the Siena College sub shop. Because I was a poor college student, I tried all of them, and the friendliness of the staff at the Latham Subway, which is a hop, skip, and jump away from Siena College kept me going back there time after time. I did try the Latham Farms location of Mr. Subb once back around 1998, but I was not at all impressed. The bread was no better than a hot dog bun, and I felt like the meat was below Subway quality, which really said a lot. Recently, there have been a number of things happening that have lured me back to trying Mr. Subb again. For one, my fitness buddy, Crystal, has been talking about this flax wrap that they make. 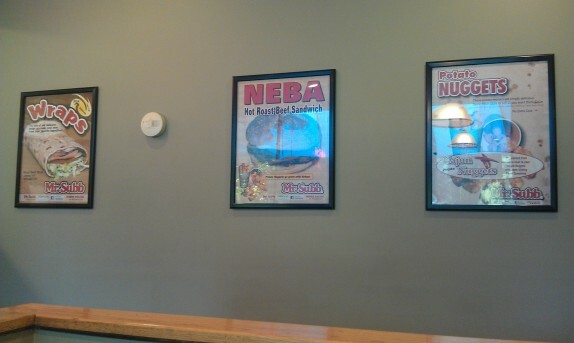 Also, Mr. Subb is running a pretty aggressive campaign to sell their NEBA beef sandwiches. And, I recently learned that Mr. Subb is a small chain that operates in the immediate capital district. I had no idea about that. 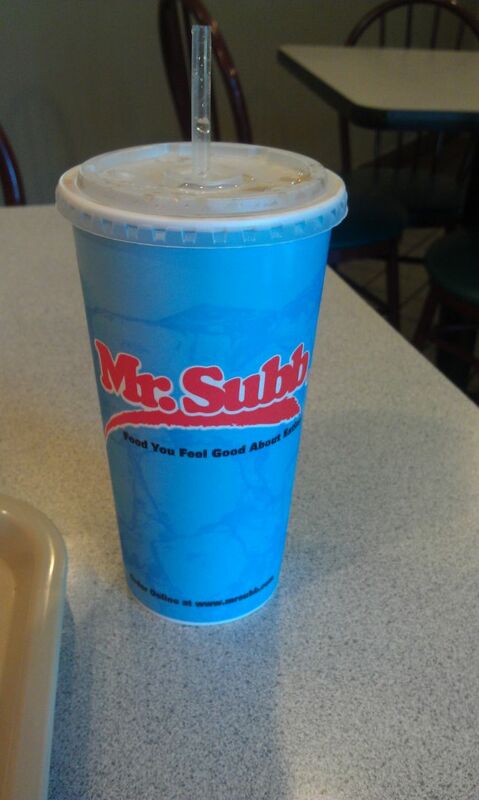 So, one irrational evening, I decided to stop to the Guilderland location in to see what Mr. Subb was in 2012. Upon entering the restaurant, I saw ads for the two foods I mentioned above as well as one for their potato nuggets (tater tots). Back in 1998, Subway and Mr. Subb both offered these, so the fact that they had them then was unremarkable. But now, I think it’s pretty cool that you could get a side dish with your sandwich at Mr. Subb. The two young guys working the counter were really nice, and, since there were no other customers at the time, I engaged in conversation with one guy about some questions I had about the menu. I decided to try a turkey wrap with some lettuce, onion, and Russian dressing ($4.10). The menu offers some great estimates on calories; this sandwich, without toppings, weighed in at 187 calories. I’m going to assume that after the dressing and veggies, it was something like 250 calories. Not that I really care or anything, but if you give me the information, I’ll definitely think about it for a second. 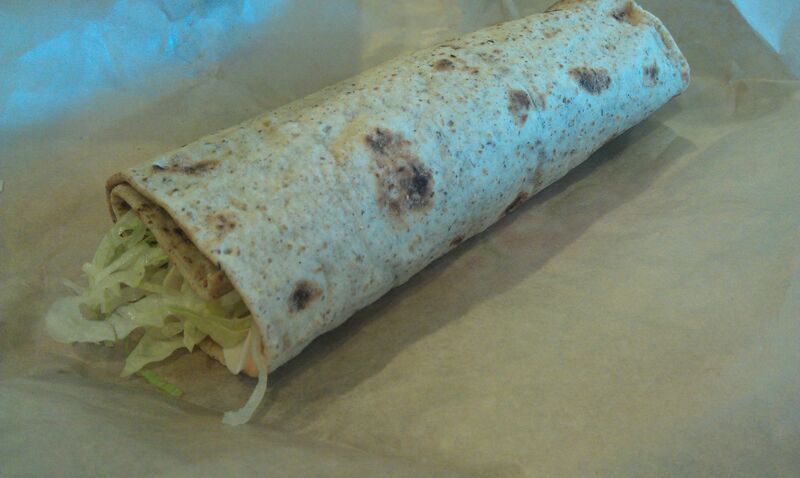 The wrap itself was actually very flavorful and wasn’t dry at all. The turkey, which was pre-sliced, also had some flavor, and the dressing and toppings added some textural elements. For 4 bucks, this isn’t a bad little lunch, especially if you have it with some of the tater tots potato nuggets, which taste exactly as you’d expect which is to say good. The NEBA sandwich ($4) was a surprise. I opted to have mine with their horseradish mayo, and, more and more, it was sounding like an Arby’s roast beef sandwich. I was a little scared when I saw the young dude take a plastic bag about the size of a fist and microwave the contents. 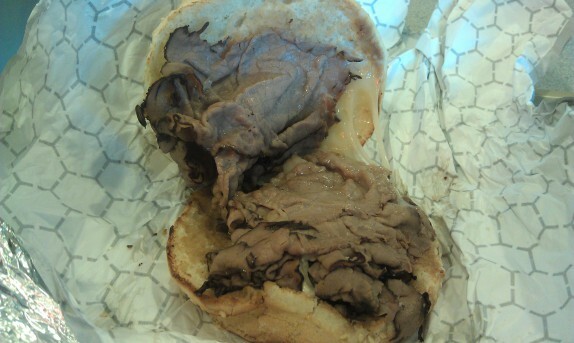 However, if you’re familiar with what Arby’s used to be in the early 1980s, the Mr. Subb NEBA sandwich will taste very familiar to you. The roast beef actually has the texture of roast beef, and the horseradish mayo was spicy and strong. 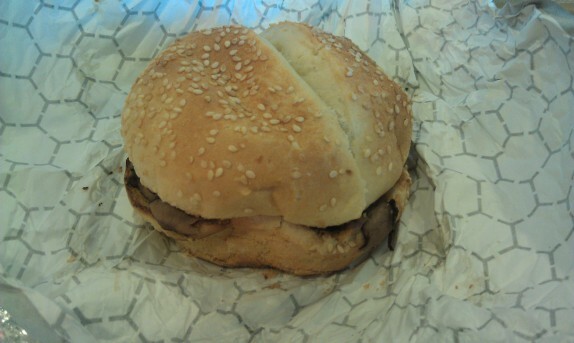 The roll was also pretty good; a few notches above a supermarket hamburger roll. And if Mr. Subb continues to make sandwiches of this caliber, you’ll never actually have to eat at Arby’s (except maybe to get some curly fries). With the soda, this whole meal costed me $11 and change. While the individual items seem like they’re priced a little high, the total seems low. So, I have to say, my initial impressions of Mr. Subb from years ago weren’t that great, but now, about 15 years later, things at Mr. Subb don’t look too bad at all. I mean, it’s not the greatest food you’ll ever eat, but it’s formidable fast fare when your options include things like Subway or Arbys. I went to an elementary school that was just a couple of blocks from Mr. Subb. On alf days we’d would be dismissed right after lunch so my mother would write me a note excusing me from lunch and give me money for Mr. Subb. 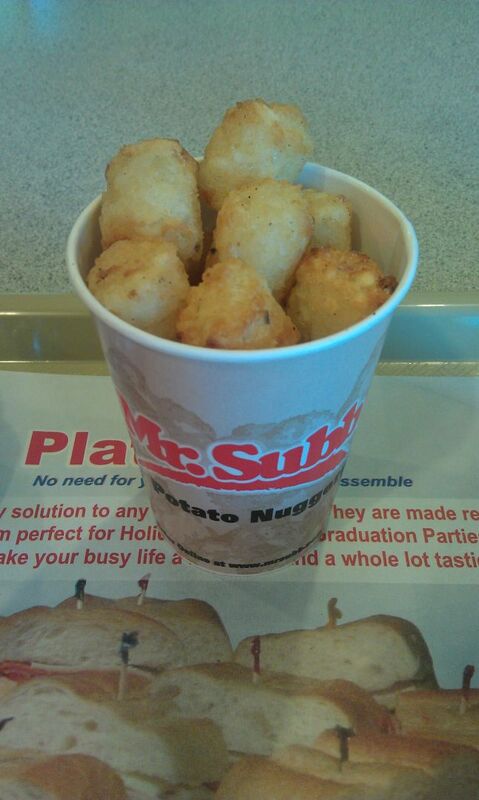 My friends and I would walk down for an Italian Mix and potato nuggets. I still hold a special spot in my heart for that sandwich. I wouldn’t recommend it to anyone, but I still eat it occasionally and enjoy it. I have always preferred Mr. Subb over Subway, but Quizno’s still trumps them both. Too bad the location near me went belly up. I think they all did in the area. The Quiznos near my work disappeared, and the one in green island is gone too.